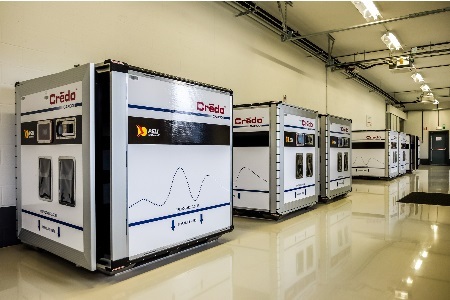 Peli BioThermal, the global name in temperature controlled packaging, announces the opening of a new network station and service centre in Los Angeles to service, refurbish, repair and condition Peli BioThermal’s reusable Crēdo on Demand shippers. This new facility puts Peli BioThermal on track to realise its plan to exceed 100 network stations and drop points for its rental program in early 2019. The new Los Angeles network station and service centre is strategically located near two of the world’s busiest international seaports and airports—the Port of Long Beach and LAX, Los Angeles International Airport. The Port of Long Beach is the second-busiest port in the U.S. and trade from East Asia makes up more than 90 percent of the port’s shipments. LAX is the busiest airport for cargo shipments on the West Coast. California is also home to 1,570 biotech and pharmaceutical companies, according to the 2019 California Life Science report by PwC and the California Life Sciences Association. The LA facility is focused on Peli BioThermal’s Crēdo on Demand shippers, which provide a high performance, flexible rental option for temperature controlled containers such as Crēdo Cargo, Crēdo Xtreme and Crēdo Cube. The Crēdo on Demand rental program allows organisations to choose the shipper application that best fits their company’s requirements, logistics profile and budget. Peli BioThermal Ltd. offers the widest range of temperature controlled packaging and service solutions to the global life sciences industry. The company is the recipient of two Queen’s Awards for Enterprise: International Trade in 2018 and Innovation in 2017. The company’s products ensure that delicate biological materials arrive intact and effective, despite exterior environments. Peli BioThermal is dedicated to developing innovative products designed to fulfil the complex needs of the global life sciences industry. The company’s customers benefit from its extensive expertise in ensuring that temperature stability is maintained throughout the distribution chain. The company also offers a complete portfolio of services and software to support end-to-end temperature-controlled packaging asset management. Outside of Europe, the company does business under the name Pelican BioThermal LLC. For more information, visit pelibiothermal.com.